It is very simple and does its job of creating work and sales orders. It's lot tracking works well. The product is outdated and has many flaws including how products are tracked by lot. Anyone can change the lot code when receiving a work or sales order. Would not recommend, our company is in the process of switching to a new ERP system. As our primary ERP system, it works for employees creating work orders, transferring product back to inventory, and other business management items. "Old, patchy feature set, trying to figure out how to be a startup again"
Availability of source code is helpful. Tech. support is ok but is mined for upsell. Horrible technology stack. Functionality is very disconnected and showcases the number of teams that have tried to "fix" this ERP. Very, *very* dishonest and opportunistic CEO who knows next to nothing of the manufacturing space he claims to support. There are too many ok options to consider this one. Light manufacturing/kitting and wholesale distribution. We bought a small license but never went live one we realized the mess it would have caused use. We're on RockStock - it's not great, but it work and we doubt that xTuple would have. It has a multitude of functions capable to displaying and filtering data however you want. It is very self-explanatory and simple to use. I do not dislike anything about the software, but at my company there were too many modifications/customizations made that the original software had become clunky. Not good for best business practices. Provided financial analysis data reporting along with traceability. It really help us on our operations on a daily basis. Everything you need is in that software. It helps us to monitor, transact everything regards on our daily operations. 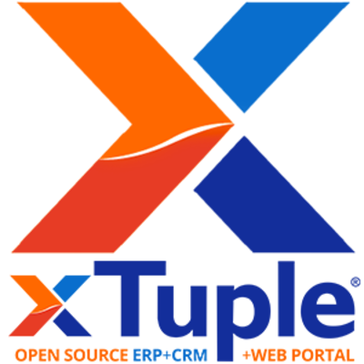 * We monitor all xTuple reviews to prevent fraudulent reviews and keep review quality high. We do not post reviews by company employees or direct competitors. Validated reviews require the user to submit a screenshot of the product containing their user ID, in order to verify a user is an actual user of the product. Hi there! Are you looking to implement a solution like xTuple?